Law enforcement officials must undergo intensive training and rigorous tests to prove they can handle the job—before and after they’re hired. Routine testing helps keep them sharp, focused and on top of their game. It’s essential for them and for the citizens they serve. When you have a heat pump, it’s in your best interest to make sure it’s in the best shape possible so it can handle your comfort needs effectively, efficiently and safely. When a heat pump isn’t operating at peak efficiency, it compromises not only your comfort but also your budget. 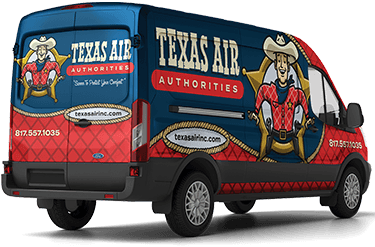 At Texas Air Authorities, we’ll put your heat pump through its paces—making sure it is in peak physical condition to handle all of your heating and cooling needs. Plus, we’ll give your system the thorough grilling necessary to make sure it’s sharp, focused and on top of its game. Heat pumps that aren’t in tip-top shape compromise your comfort and your budget. Our technicians are HVAC fitness-ready. Put them through their paces in Grand Prairie, Mansfield or wherever you call home. Texas Air Authorities is the only investigator you should trust to handle your case. We’ll flex our expertise muscles for crackerjack heat pump maintenance and for all of your HVAC needs. Simply fill out our online form or call us at 817-402-3576. In addition to serious savings, our maintenance plans offer you peace of mind and reliable service.